Why are you interested in mobile growth? Welcome to the Mobile Growth Community! <br><br>Stay up-to-date with this chapter! Join us here -- https://branch.app.link/mobile-growth-community<br>//<br>Our Story <br>We were started in San Francisco in 2014 by Branch founders as a forum for app developers and marketers to share best practices, challenges and solutions - something they lacked when they built their first app. Since our first meetup at StartX to a growing tribe of thousands of mobile marketers, product managers, app developers, and mobile startups across the world, our goal has always been the same: to bring together a good group of folks interested in building businesses in the mobile ecosystem and help spark discussions and learnings around how to make that happen. <br><br>What do we like to talk about? All things growth on mobile, from organic growth hacks to engagement strategies, from retention tactics to deep links and more. 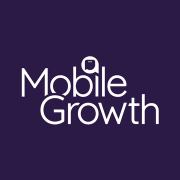 Come hang out, meet cool people in mobile, listen to some great speakers and share your learnings with fellow mobile growth experts.<br><br>Mobile Growth Meetups are powered by Branch, the leading linking and mobile attribution platform. You can find us at https://branch.io. <br><br>Our other large mobile event is Branchout, the cross platform growth event for marketers and product managers. Visit https://branchoutsf.com for more details.<br><br>If you are looking to host a Mobile Growth meetup or want to speak at an event, please let us know! Just send an email to events@mobilegrowth.org.